Toothpaste is something we start our day with and also end it. A good quality toothpaste ensures that your teeth stay healthy, yellow free and are also protected from the diseases of teeth and gum. Nowadays bleeding gums and sensitive teeth are very common problem in our generation. Additionally, they also keep your breath fresh through the day. There are several old and new toothpaste brands in India, which have their stronghold in the market. Toothpaste contains fluorides and other such minerals which are important for you to prevent the tooth decay. In addition to this, one of the recent studies suggested that oral hygiene can be related to lungs disease and heart disease. In such a case it becomes certainly important to have a good toothpaste at your disposal. The ideal brushing time is always two minutes no matter which toothpaste you use but using a good toothpaste will ensure that you have a fresh breath for a longer duration of time. In addition to this, you can couple this toothpaste with an electric toothbrush for a better cleaning experience. Just before we share the name of the toothpaste, we would also like to crack a myth. It is believed that you should take a lot of toothpaste on your brush but this is not true. You only need toothpaste equivalent to a pearl of a pea. That is enough to clean your teeth properly. In the advertisements, they display it otherwise so as to increase your consumption of toothpaste which in turn impacts the sale of these companies. Let us now look at the best toothpaste brands in India but before you should know how to choose it. Fluoride Content – In short, a high-quality toothbrush along with perfect toothpaste is the key to your dental health. Nowadays, most of the quality toothpaste is formulated with fluoride content, as it is essential for preventing tooth decay and strengthen tooth enamel. While choosing toothpaste, make sure that the toothpaste has fluoride content. Whitening – You might have tried some whitening toothpaste that comes with whitening agents to help protect your tooth from decay. This option is just recommended for those who have yellowish, dull tooth. However, these whitening tubes of toothpaste are something that shouldn’t be used on regular basis. Taste – Having a good-looking toothpaste doesn’t mean it tastes great. Many people don’t enjoy brushing due to bitter taste. To encourage frequent use and help achieve great dental health, you can get tasty toothpaste for your kids. Apart from the taste, choosing organic and herbal toothpaste are much more beneficial. Sensitivity – People with extreme sensitivity tooth are more prone to shooting pain. To treat tooth sensitivity, there are many toothpaste options available. Whether it is hot drinks or cold creams, toothpaste that contains desensitizing mode will take care of your teeth. Depending on the tooth type, color and sensitivity, you can choose the best toothpaste after analyzing various requirements. On the list of top 13 best brands of toothpaste in India in 2018,we have Dabur Red, which is fully natural and free of chemicals. This is the main reason for its popularity among Indian consumers. The toothpaste contains 13 active Ayurvedic ingredients and it contains things like Laung, Tomar, Pudina and other beneficial ingredients. The toothpaste is really effective in removing plaque, bad breath,and gingivitis. Moreover, Dabur manufactures good quality products and you can buy this toothpaste if you want something natural for yourself. It is also available in the powder form but it is recommended to use the paste form of the toothpaste. Price of 200 g pack is Rs 92. 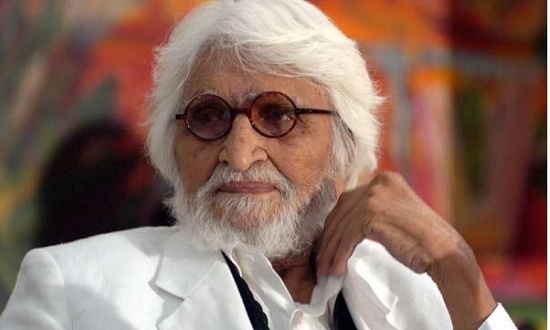 Aquafresh is another leading toothpaste brand which was launched in the seventies and has established a trusted reputation in the Indian market. It has unique looks featuring three stripes of red, white and blue, which makes it much loved among children in particular. This is available in gel form and it is one of the best toothpaste for maintaining healthy teeth. In addition to this, the toothpaste contains many active ingredients like xylitol which prevents tooth decay and other gum diseases. This toothpaste was introduced Unilever and it is popular across the world. A 100 g pack comes for Rs 25. Another herbal product to feature on this list is Babool, which contains natural extracts of babul and protects teeth from different dental problems and also prevents bleeding of gums. This toothpaste was introduced in 1987 and it had been popular for over 30 years. As a matter of fact, Babool is derived from the bark of Babool Tree and this ingredient had been in use in India for over centuries. This toothpaste also belongs to Dabur and as Dabur acquired it in the later stages of the product lifecycle. It is reasonably priced at Rs 92 for a 200 g pack. Meswak is another well-known product in the Indian toothpaste market in 2018. The natural extracts of Meswak present in the toothpaste fight bad breath and make teeth and gums stronger. The toothpaste is not only popular in India but it is also popular in European nations. The mild flavor makes it perfect for the people who do not like the sweet taste of the toothpaste. It is also a natural toothpaste which is free of all the chemicals. The 300 g pack of the toothpaste comes for a price of Rs 144. Close Up is a youth-oriented toothpaste brand, which comes among the top 13 best brands of toothpaste in India in 2018. It was launched in 1967 by Unilever Ltd and has been the first brand to showcase the gel variety in toothpaste. Close Up is acclaimed for providing fresh breath, along with white teeth and freedom from cavities and other dental problems. The toothpaste has a flavor of cinnamon which helps in keeping the breath fresh for a long duration of time. In addition to this, the toothpaste is available across the world.Price is Rs 151 for a300 g pack. 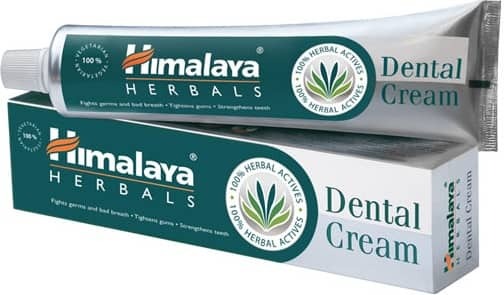 Himalaya Dental Cream is another popular Ayurvedic toothpaste on our list. 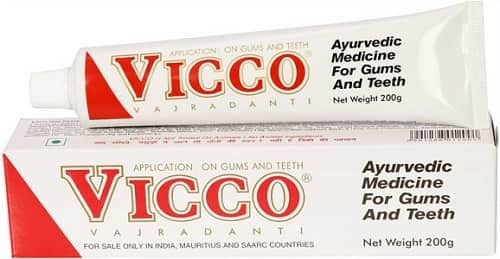 The toothpaste contains various ingredients like pomegranate, neem, Meswak,and clove which are known to be really beneficial for the teeth.There are no harmful chemicals in this product and hence it is a perfect toothpaste for the people of all age group.The price of the toothpaste starts at Rs 76 for 200-gram tube. Vicco Vajradanti is also very popular and it is made of 18 Ayurvedic herbs. The toothpaste is known for antiseptic, analgesic and astringent properties. In addition to this, the toothpaste ensures strong teeth and a firm gum. The toothpaste is known for eliminating toothache, bleeding and swollen gum, pyorrhea,and bad breath. The toothpaste contains ingredients like Babul, Rose Apple, Clove, Bor, Ajwan, Cinnamon, Patang, Vajradanti,and amla. It costs about Rs 130 for 200 grams tube. Dant Kanti is an herbal toothpaste presented by the famous herbal company called Patanjali, which is owned by Yog Guru Baba Ramdev. It is effective for strong teeth and gums and prevents bacterial infections as well as swelling of gums, which can cause bleeding and pain. The reason for the popularity of the toothpaste is that the toothpaste is made of all Ayurvedic ingredients and in addition to this, the toothpaste is priced very economically. The main ingredients of the toothpaste contain pudina, pipli, peelu and Maju phal.The price of 100 g pack of the toothpaste is Rs 40. Oral B is another effective toothpaste brand, which has been approved by ADA and brings relief from dental problems like plaque, sensitivity, tartar and bad breath. It helps you get rid of yellowing of teeth and makes them white and shiny. It is one of the most popular brands available in India but the only problem is that it is a little expensive when compared to other brands. The toothpaste is formulated after a long research and this new improved formula is the best in industry. You can also buy a pack of electric brush and toothpaste from Oral B and the pack is certainly more economical. A75 g pack is priced at Rs 160. Sensodyne is recommended for people who suffer from thesensitivity of teeth as it provides pain relief along with strong white teeth and protects gums from various diseases caused by oral germs and bacteria. The toothpaste is good news for people suffering a great pain on account of dental sensitivity and it is available in multiple variants. A lot of people who use Sensodyne suggests that the toothpaste reduces the sensitivity of the tooth from the first use onwards. In addition to this, the toothpaste is available across the world and it has a legacy of 58 years behind itself. The price is Rs 90 for 80 g pack. Featuring next in the list of best toothpaste brands in India in 2018 is Pepsodent, which uses herbal ingredient derived from sassafras tree, in addition to a substance called irium. Both of these curb germ formation in the mouth and strengthen the enamel. This toothpaste was introduced in the year 1942 and since then the brand is owned by Unilever. The toothpaste was earlier not available the United States of America but it is now available there as well. This is also one of the most recommended toothpaste by the dentists across the world. The price of a200 g pack of Pepsodent toothpaste is Rs 80.
Colgate is the oldest and most reputed toothpaste brands in India, which has been on the market since 1873 and has launched an impressive line of products over this period of time. 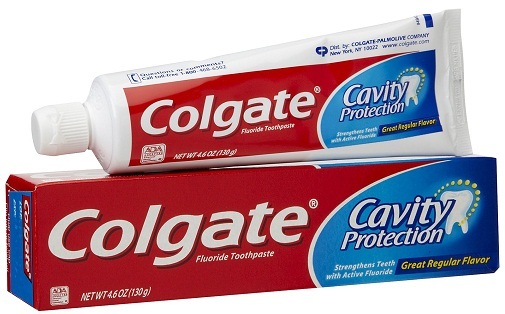 The toothpaste is owned by Colgate-Palmolive. Strong and white teeth and healthy gums are guaranteed by the use of this toothpaste brand, which is recommended by the maximum number of dentists. The toothpaste guards your teeth against the cavity and the toothpaste is probably one of the oldest toothpaste on the market. Even in terms of market penetration, the toothpaste is known to have the highest number of consumers. The toothpaste is available for Rs 58 in a packing of 150 grams. All these toothpaste brands occupy a place of trust in the Indian market and are popular among the Indian people. 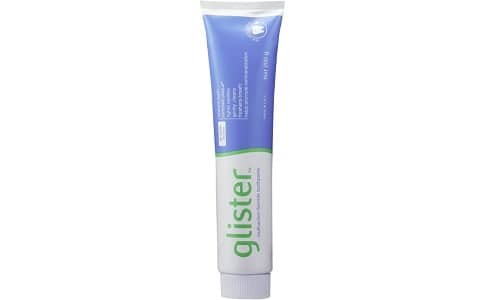 Some of these brands like Glister and Meswak are popular across the world and they are also the most preferred brands. It is always better to buy a family pack of the toothpaste as this proves to be more economical than buying the small packs of the toothpaste.